Presentations include 1-2 hour seminars and 3-4 hour or weekend workshops that can be tailored to meet each groups specific needs. 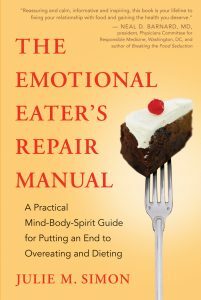 Anyone struggling with overeating and weight challenges and those who work with over-eaters, including therapists, nutritionists, dietitians, physicians, nurses, personal trainers, teachers, chiropractors, body workers, acupuncturists, and massage therapists will gain insight and valuable tools. * Parents: Are you raising an Emotional Eater? * Is your child being bullied because of his/her weight? * Weight Loss, Exercise and Sleep–What’s the Connection? Please see Media for a partial list of speaking venues and Upcoming Events for scheduled seminars and workshops.